The first candle lit last week in the Advent wreath represents hope. The remaining candles symbolize love, peace, and joy. The words and liturgy at the church we currently attend are so rich, and last Sunday, an opening prayer asked that God “agitate dormant hope.” How paradoxical- to pair a word with such strength and often negative connotation- agitate- with another strong but almost quiet word, “hope.” The pairing seems to suit the whole season quite well. On the surface, Advent feels like a time of quiet hope, “All is calm, all is bright…” we sing. It’s about angels, and a star, and an infant in a manger. But those angels aren’t cherubs, chubby little baby angels like we might hang on a Christmas tree. From their opening words to everyone they deliver a message to we can infer that their appearance is actually quite imposing, “Do not be afraid,” they usually have to say before anything else. That star attracts the attention of a murderous king, and the manger didn’t have a thin coating of pure white snow on it —it was more likely accompanied by sharp hay and the smell of animals in all of their animaly-ness. Agitate- to upset, fluster, disconcert, unnerve. This past summer I was reading a book called “Your Survival Instinct is Killing You” The thesis is compelling. Our survival instinct is in overdrive because in our modern age, there is less real life-threatening danger to flee from, but our brain has come to view any “uncomfortable” situation as threatening. The more uncomfortable we’ve become with being uncomfortable, the more we’ve formed maladaptive habits to avoid or mask our discomfort. And the author wrote a whole section on what he termed agitance- the agitations of our modern life that put us in a state of high alert, or even fight or flight, 24/7. There was even a quiz one could take to find out your current level of agitance. 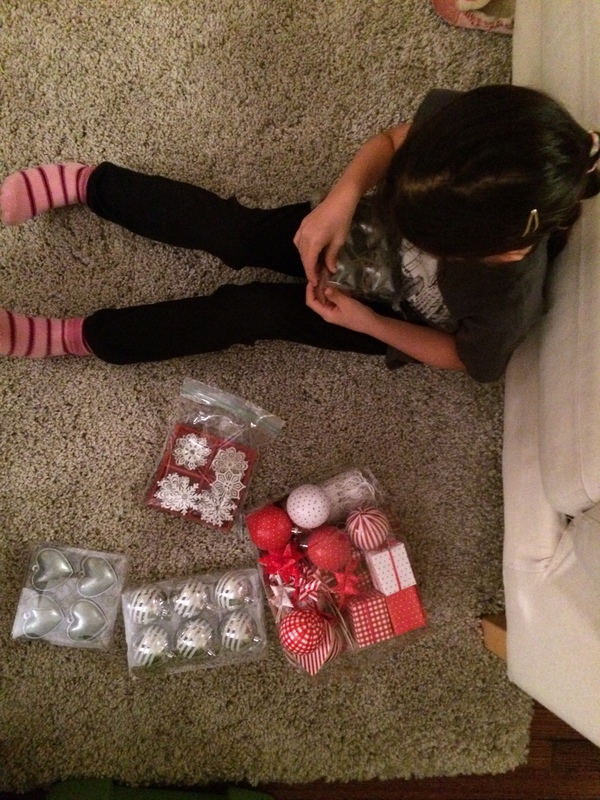 Questions like, (and I’m paraphrasing from memory): “How often do you find yourself checking your email or social media?” “Do you have to have more than one sensory stimulation at once? For example, watching TV while surfing online?” In the second half of the book, the author goes into techniques to lower our state of agitance, and prevent the limbic part of our brains from bypassing the place where executive decisions are made so we can withstand discomfort without going into the mode of fear. Unfortunately for me, I had to return this library book before I got to the solutions part. Yup. One point I did take away, however, was that by avoiding uncomfortable situations, even though you might think it’s better for your anxiety, you’re actually creating less of a tolerance for these uncomfortable situations, and making yourself even more prone. So, one needs to push oneself into uncomfortable situations every now and then to actually keep your survival instinct from being on high alert all the time. It works like strengthening a muscle- you have to exercise it. It’s basically being brave. Maybe hope also needs to be stirred up and exercised. And maybe it’s not sentimental and sweet the way we sometimes think of hope or angels and stars and infants in mangers. Maybe it’s uncomfortable and a bit disconcerting. This past week has called out for hope. The darkness in current events overwhelms me at times. Knowing what a world my own experience of loss was and is, I keep thinking about that pain multiplied by so many. I keep thinking about how after public interest wanes on social media, families in total shock are planning funerals, their grief “journey” just at the very cusp. Perhaps in the same way avoiding uncomfortable situations weakens our tolerance, avoiding pain does not preserve our hope as we might expect. Perhaps the human experience of pain can awaken hope. Our survival instinct is agitated and put into overdrive when we get caught in the modern pace of our world and can’t slow down. Hope is agitated when we slow down, when we are patient and let go- not striving and doing, but actively waiting and believing. If our anxiety is agitated by the imaginings of all of the possible things that could go wrong, hope is agitated by a promise of things being made right- even if they do not appear so now. If anxiety is agitated when we listen to the news and read every article for fear that we will miss something important, hope is agitated when we are fully present in this moment- this is the moment of utmost importance. Where anxiety is agitated when we try to figure out what we can do to control things, hope is agitated when we relinquish control and rely on grace—not a passive reliance, but an active and alert one. “We stay awake by telling stories that offer a glimmer of a future and agitate dormant hope within us” was the complete sentence of the liturgy. The stories are a seed planted and a promise, not merely tired wishes. We call out hope when, in the midst of darkness, we wait patiently for the near but not yet. 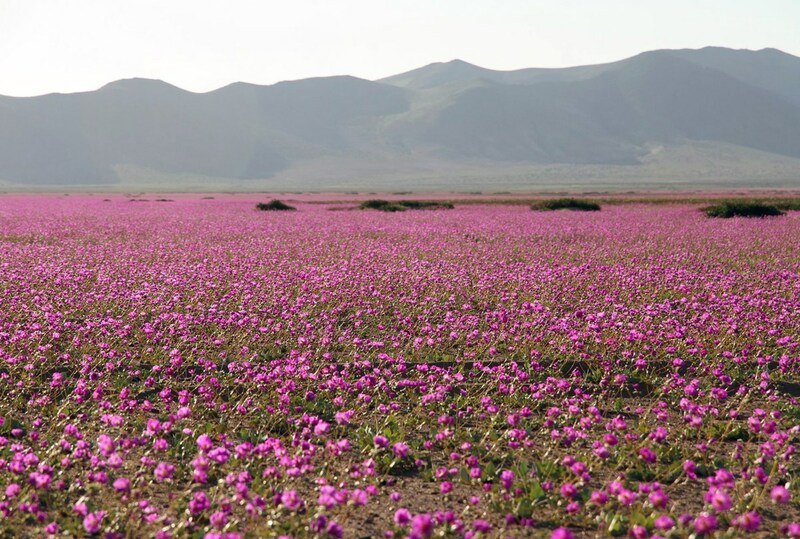 I saw an image in the news a month or so ago of a desert in Chile, the Atacama Desert, where flowers usually bloom every five to seven years. This year, due to the record rainfall, the desert was awash in an unprecedented array of flowers. A similar phenomena happens in Death Valley, California. All of these flowers, all of the potential for these flowers, is always there- just dormant. “What makes the desert beautiful…is that somewhere it hides a well,” said the Little Prince. CARLOS AGUILAR/AFP/Getty Images via HuffPost. This whole post gave me chills, yes, what a fascinating pairing of words – agitation and hope, but how apt. I heard a podcast recently about how our fear response is overstimulated by the saturation of the media and the Internet. And this makes us hyper aware and alert all the time. I need to check out that book from the library! I like the idea that stepping away from online saturation can ease that kind of distress and also stimulate hope and presence – which is not necessarily a balm but movement toward light. Julia, your posts are like a meditation to me. Thank you. I agree with Dana – your posts are like meditation. This one, in particular, took my breath away. In a meditation a few months ago the phrase, “There’s hope in the possibilities”, popped into my head. At the time this was a profound statement and I held onto it like a life raft. This post reminded me of that statement and how important it is to be an active participant in cultivating hope. It’s a constant balancing act in my own life between avoiding things that trigger my PTSD, and putting myself out there so I can actually *overcome* some of the things that trigger it. I agree that hiding from the world is no way to strengthen ones ability to live in it. Ultimately, “the only way out is through” (I can’t recall who I’m quoting here – Jung maybe?). But it can be tough to know when to retreat and when to move forward. The reminder to stay present and let go is a timely one for me. Perfectly perfect post. Well-timed and well-written. Too many thoughts here, and somehow, just enough. Timely. I shall be checking out the book you highlighted. I know that after JS drowned my memory and attention span feels to be shot to bits, but, before he died I wasn’t so immersed in social media (hardly ever used Facebook, never Twitter and so on), but now I watch TV whilst checking my phone, switching constantly between accounts. I find it hard to unplug from everything, including my brain which becomes saturated.